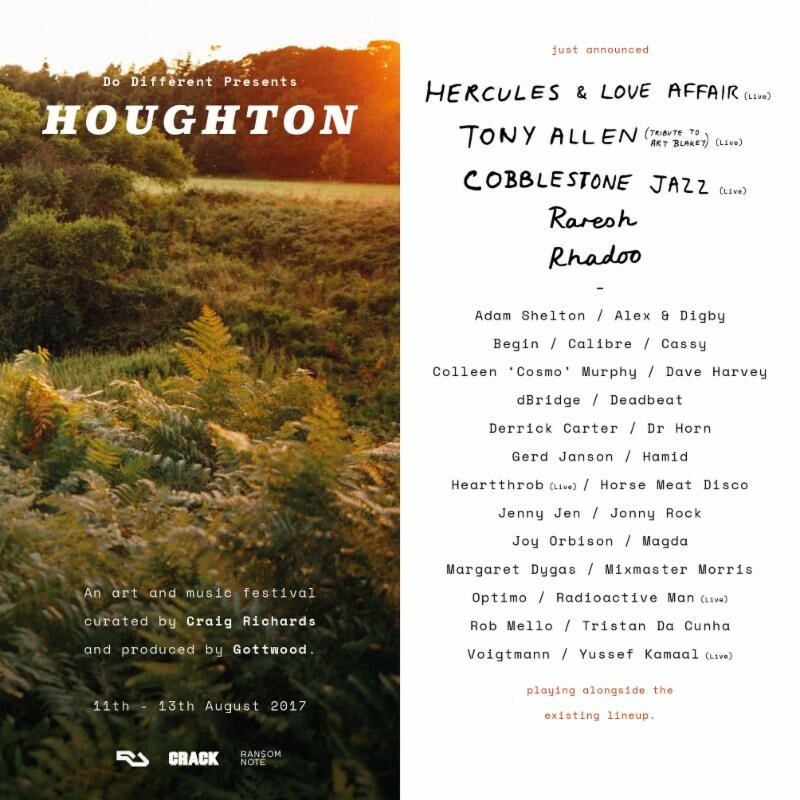 Houghton Festival, scheduled for 11th-13th August 2017 at the Houghton estate in Norfolk, adds Derrick Carter, Tony Allen, Raresh, Rhadoo and more. Also announced as part of the second round of artists are Hercules & Love Affair (live), Margaret Dygas, Deadbeat, Alex & Digby, Cassy, Magda, Ben UFO, Gerd Janson, Optimo, Voigtmann and Joy Orbison, plus many more. The aforementioned artists join the previously revealed names that include Ricardo Villalobos, Nicolas Jaar, Floating Points, Seth Troxler, Nightmares on Wax and Andrew Weatherall. All artists have been personally invited by Craig Richards. Set within a never before used area of Houghton Hall, the festival is surrounding a lake and thick woodlands. Amid the woodland lies unique venues including an abandoned warehouse, subterranean bowl and a renowned art and sculpture park. View the full second wave of artists below. Purchase your tickets here.